This week we’re hearing from Claude Bondy in Cantwell. 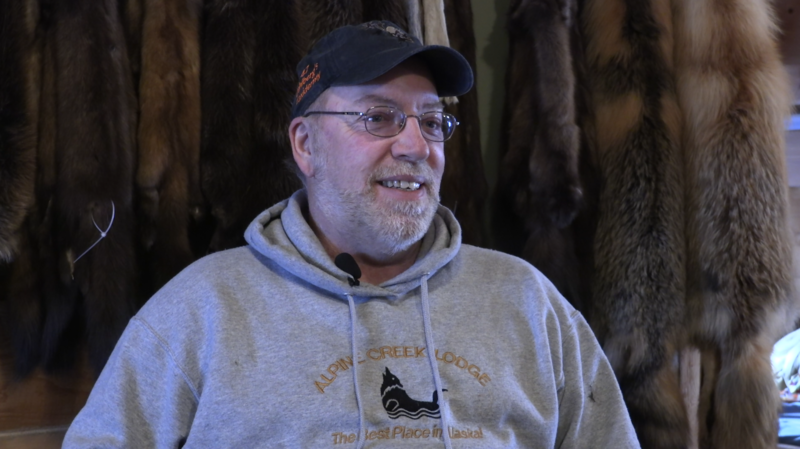 Bondy owns and operates the Alpine Creek Lodge with his family. BONDY: So, yeah. We’ve been out here for ten years. Business has been good. We have a lot of mushers that train out of here, and we’re open every day, year-round. We always make room for mushers because they’re pretty hardy and they can make due with whatever we can offer them. And so, they really aren’t that much trouble. Even if we have a lot of other guests here. When we first opened up, nobody was coming in from Cantwell at all, so the trail was basically under several feet of snow all winter, and it would be no traffic on it. Except a few mushers would come out and Jeff [King] had a camp down the road a few miles where he trained for the last 20 years. Once we opened up, we kinda asked around what the business opportunities were out here, and we tried to study as much as possible. And we knew that the mushing community needed a place and there was a few that trained out here. But it wasn’t maintained enough for just your average Joe musher, just your pretty serious ones. So there was all these negatives and to me, that sounded like an opportunity. In one particular year, we had 50 of 80 mushers in the Iditarod had trained outta here that winter. So to be in the top ten in the Iditarod, you better be training out here, cause I haven’t seen anyone else be in the top ten in the last few years that hasn’t trained out here.